U.S. Sen. Ted Cruz, R-Texas, and his Democratic opponent, U.S. Rep. Beto O'Rourke of El Paso, pushed Saturday for accountability for the Saudi role in the death of journalist Jamal Khashoggi, with Cruz also using the incident to paint a contrast with O'Rourke. BEAUMONT — U.S. Sen. Ted Cruz, R-Texas, and his Democratic challenger, U.S. Rep. Beto O'Rourke of El Paso, pushed Saturday for accountability for the Saudi role in the death of journalist Jamal Khashoggi, with Cruz also highlighting the situation to drive a contrast with O'Rourke. After initially denying involvement in Khashoggi's disappearance, the Saudi government announced Friday that the Washington Post columnist died after a "fistfight" inside its Istanbul consulate. President Donald Trump has said he found the explanation credible and called it an "important first step," but lawmakers from both parties have been less willing to take the Saudis at their word. Cruz added his voice to that chorus while speaking with reporters after a rally here Saturday afternoon. O'Rourke offered a more certain assessment during a campaign stop in The Colony. "Saudi Arabia must be held accountable," O'Rourke told reporters. "There must be a consequence. We must stop rewarding their bad behavior, whether it's what they've just done in the murder of a journalist or their export of those who are spreading a hateful ideology or their indiscriminately bombing civilians in Yemen." One consequence, Cruz said, could include sanctions under the Magnitsky Act, which lets the government go after human rights offenders by freezing their assets and prohibiting them from coming to the United States. 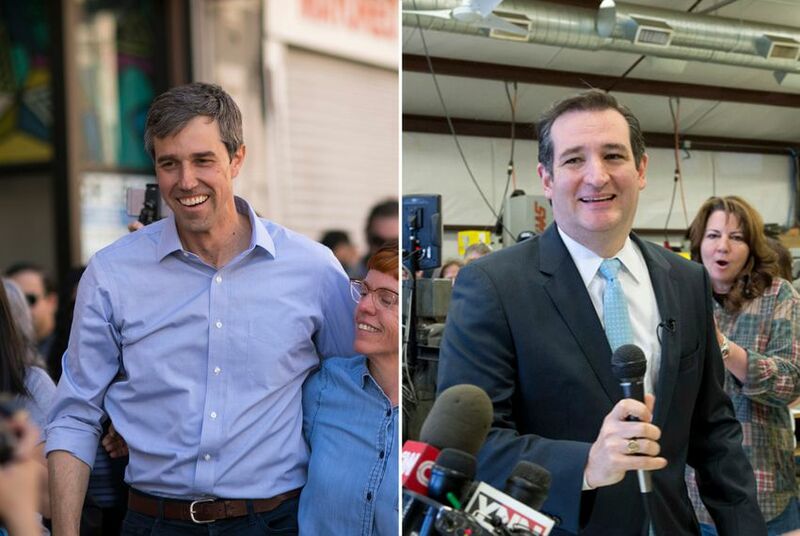 On O'Rourke, Cruz pointed to the Democrat's opposition in 2016 to the Justice Against Sponsors of Terrorism Act, which allows families of 9/11 victims to sue Saudi Arabia for any involvement in the attack. The bill passed Congress, President Barack Obama vetoed it and then Congress overrode the veto, which was opposed by O'Rourke and 76 other House members. "I think that’s a mistake," said Cruz, who cosponsored the bill. "We should be holding enemies of the U.S. accountable, we should be standing up to Islamic terrorism, and I think weakness in the face of our enemies is not the right foreign policy." At the time of the veto override, O'Rourke echoed Obama's argument against the bill: that it would have unintended consequences, opening up the United States to legal retaliation overseas. The law "is bad foreign policy," O'Rourke wrote in a 2016 explanation of his vote. "It’s dangerous for Americans exposed to its consequences around the world; and it redistributes an executive authority to the judicial branch in a manner that will not provide the justice and compensation the 9/11 families deserve."